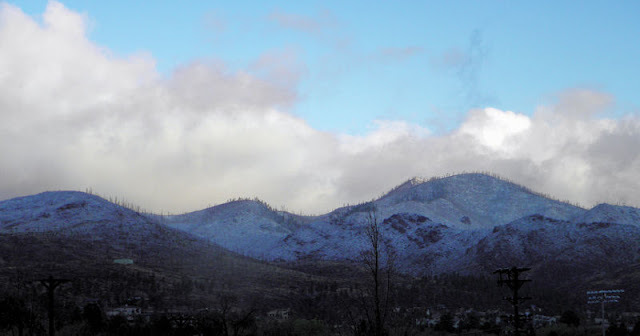 Early morning showed snow on Jemez Mountains above Los Alamos. Melted by later in the AM. Today was a reprieve from the winds of yesterday. However, the wind gets its revenge tomorrow according to the weather forecasts.